Prepare for the day that we transfer money as easily as sending a text message, pay for products by placing a card next to a sensor and only see cheques in a museum. That's the future suggested in the UK Payments Council's first annual plan. Unlike the chequebook, cash will survive - but will become less fashionable than card or automatic payments. Payments themselves will become faster, with consumers and businesses able to access up-to-the-minute information about their finances. Just don't expect the changes overnight. 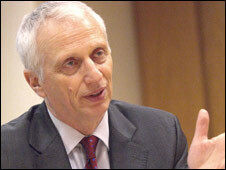 The UK Payments Council was set up in March 2007 and immediately set about formulating its first annual plan. The Council is partly an industry body, with 11 directors drawn from its members, but it also has an independent chairman, four independent directors and a mantra of transparency. It operates where co-operation is needed within the payments industry but says it will not intervene when competition delivers the best outcome. The most striking subject in its first plan is the end of the cheque. "Our diagnosis that use of the cheque is in irreversible decline went almost unchallenged," says chairman Brian Pomeroy. Cheques have been part of life since 1659, having been developed from a system of notes written by merchants and goldsmiths. But the Payments Council predicts that by 2016 only one payment in 50 - some 840 million transactions - will be made by cheque. A string of High Street stores are already refusing to accept them, claiming they are slow, easy to fake and unpopular with consumers. These retailers include Tesco, Asda, Argos, Boots, Next, Sainsbury's, WH Smith and Marks & Spencer. So, it is a case of when, not if, cheques will be phased out. The Payments Council suggested during consultation that cheques should go by 2018, but the date has been dropped from the final plan owing to concern over viable alternatives. This will now be looked at during an 18-month review, with consumers having generally been against setting a closure date and the industry promoting it. 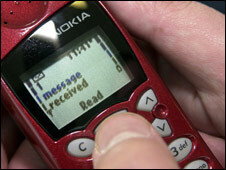 The move was welcomed by consumer group Which? 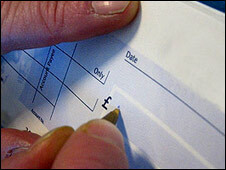 which suggested in a survey last year that 57% of people continue to find cheques "really useful", while 31% disagreed. Instead of writing cheques, consumers will increasingly use contactless or prepaid cards - similar to the Oyster card system seen on London's public transport system. The Council has promised to report on these schemes by September 2009. Meanwhile, by June 2008 the Council says it will decide whether to work on a collaborative bank account to bank account mobile payment service. Emerging technology is also making it more likely that a mobile phone number could be a proxy for a bank account number, making transferring money as easy as sending a text message. The Council forecasts that in 2013 more non-cash payments - mainly by debit and credit card - will be made than cash transactions for the first time. Fans of cash tend to see it as a safer option, less open to fraud. The Council says it will produce an annual assessment of fraud and security threats and measures to tackle them. The National Payments Plan, published on 14 May, has outlined a number of reviews that will take place, instead of concrete proposals. As an inaugural plan, it concentrates on setting the foundations for work in the future. Partly for that reason, it seems, it has not made any politically-sensitive comments on the future of the 1p and 2p coin, or changing the £5 note to a coin, as suggested by some banking analysts. The Council will work with the Bank of England and Royal Mint to decide whether future payment plans should contain ideas about the supply and quality of notes and coins. Opinion during consultation on this point was divided, it says. Another issue which polarised opinion was the length of guarantee on direct debit payments. Also, low-income groups are missing out on savings of around £80 to £90 a year by failing to use direct debit to pay utility bills. What is clear from this report is that direct debit will join numerous other issues on the list for discussion for many years to come before the way we pay for things changes beyond recognition.